Filmed over 3,500 miles in 14 states. 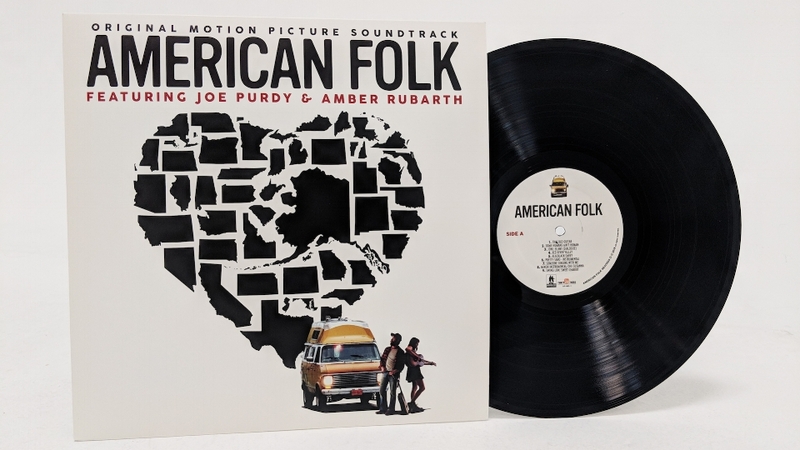 starring folk singers joe purdy & Amber Rubarth. WATCH the Movie and LISTEN to the Soundtrack today! lift each other up in the wake of tragedy. spaces between the suffering and fear, where music has the power to connect. kindness of all of the "folk" that make America what it is. Joe Purdy is an internationally acclaimed singer/songwriter who has released fourteen albums over the last fifteen years. His latest album, "who will be next?" is deeply rooted in the tradition of artists such as pete seeger, woody guthrie, phil ochs, bob dylan and others as a searing commentary of our turbulent time. Purdy's determination to honor the giants of american folk music while applying his formidable skills as a writer and vocalist reveal joe as a compassionate observer and participant in our times. AMERICAN FOLK marks Joe's first foray into acting. Amber Rubarth is an award-winning singer-songwriter who has toured the world alongside such artists as Emmylou Harris, Richie Havens, and Ralph Stanley. A winner of the prestigious NPR New Song Contest, Amber's latest album "Wildflowers in the Graveyard" features a song heavily featured in the film. AMERICAN FOLK also marks Amber's big screen debut. For the last decade, David Heinz has been working in cutting rooms on both independent and studio pictures alike. Recently he edited Adult World with John Cusack which was released theatrically by IFC. In 2011 he served as the Additional Editor of This Means War for Fox as well as several other recent independent features. David recently contributed as the Visual Effects Editor to The Jungle Book, Dawn of the Planet of the Apes, and Live Free or Die Hard, to name a few. AMERICAN FOLK marks his feature directorial debut.